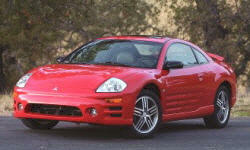 Mitsubishi Eclipse Pros and Cons | Page 1 of 1 | Why Not This Car? What drives people to buy (or not buy) a certain car? 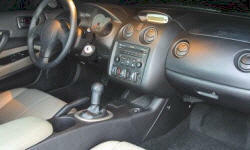 TrueDelta's members share Mitsubishi Eclipse pros and cons based on their real-world driving experiences. Great looking car! I get more compliments on this convertible than I did on my 2005 Audi TT Roadster. Torque is lacking across the power band but especially at the the bottom of 1st gear. For a small car it feels underpowered despite the rated 210 HP. Clutch engagement gives no feedback. Shifter is sloppy and too spread out.